We are pleased to announce the 15th National Congress of the SFM, with a new name ‘MICROBES’. 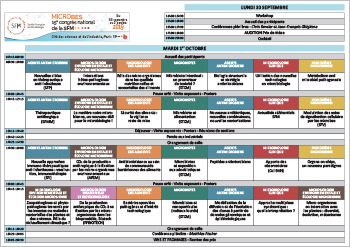 It will take place from 30 September to 2 October 2019 at the Cité des sciences et de l’industrie, Paris 19ème, France. 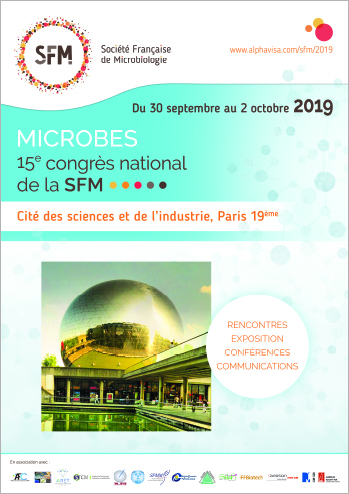 The SFM and its partners would like to see many of you, especially young researchers or hardened microbiologists, in order to ilustrate the attractiveness of our scientific societies and the dynamism of our research. For the youngests, we offer travel grants and university thesis prizes. This year again, the diversity and richness of the exchanges will mark these days. We are therefore already looking forward to seeing you in 2019 for this essential microbiology event.